SKU: N/A. Categories: HQ Foil Kites, Kites. Tags: paragliding, super light, windkite. No matter where you are, this kite impresses in every respect. An extremely robust ultra-lightweight 20D-fabric, super-thin bridle lines and the latest know-how from the paragliding industry make the Matrixx II a high-performance monster. Lift, rotation speed and hang time are top level. Specially tuned for light winds, the impressive Matrixx II provides the ideal preconditions to be the first in the air and to enjoy the longest hang time. The new Powerkites Matrixx II is the next logical step after the first Matrixx and sets a new standard in terms of versatility. For the new Matrixx II, thedesign team took an in-depth look on the latest knowledge of paragliding designs. With almost the same AR, they were able to increase the performance of the kite in every aspect. 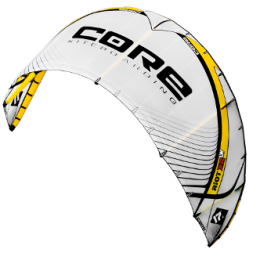 This is not only due to the new kite design, but also the performance has improved due to the new super light 20D fabric. The new Matrixx II feels more direct, faster and offers more performance than ever before, the lift, hang time and turning speed are at a higher level. The size split of the Matrixx II is unique. The smaller sizes are well optimised for the mid wind range. The 15 and 18m are especially trimmed for light winds. Due to the usage of a lighter rib material than on the other sizes the weight on the 18m was reduced to only 3.5kg incl. the bar. 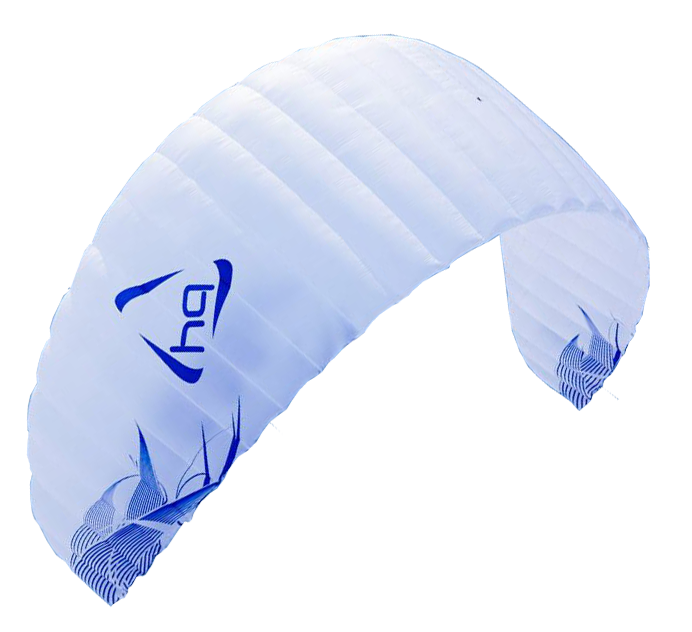 This makes the 18m to be one of the best light wind kites on the market. The perfect kite to get you going on your Twin-tip at just about 10 knots. The new Matrixx II has a well-chosen mix of different high-spec materials. Every size of the Matrixx II is equipped with our super light 20D ripstop materials. This material saves around 35% of weight in regards to the previous version. For the bridle, we have chosen a super thin spliced Dyneema line, this will help to reduce the drag produced by the kite and help it to fly faster. We have also chosen material which has been proven for many years within the kiting industry highly effective for the mixer and flying lines. The precision of the manufacturing of the kite is extremely high, only using high standards like this we have been able to build a kite to a high specification and standard of performance. Who is the Matrixx II intended for? The Matrixx II is the perfect kite for all who like to experience the maximum of lift and hang time. This kite turns and flies fast with super light materials. This perfect combination lets you be one of the first on the water. It has never been easier to handle a closed cell foil! 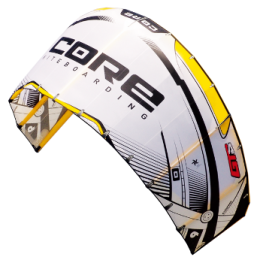 Yet with the new design generated this has a higher standard of stability, making it perfect to increase the personal riding level for any rider without paying too much attention to the kite. The Matrixx II combines characteristics of different disciplines without their difficulty in handling, so no more tip tucking, big turning radius or difficult launching. It is simply a more enjoyable way of kiting, you just unpack the kite and enjoy every second of your ride. Every size is perfectly adjusted for its wind range. 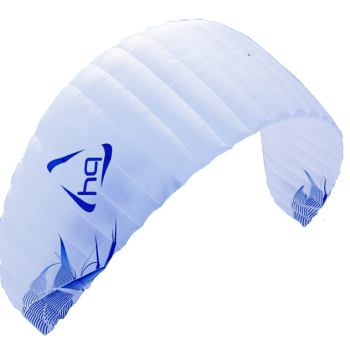 If you want to do long and high jumps, go upwind without thinking about it and experience high end performance, the Matrixx II is the kite of your choice. The Matrixx II is the perfect kite for all who like to experience the maximum of lift and hang time. This kite turns and flies fast with super light materials. This perfect combination lets you be one of the first on the water. It has never been easier to have maximum control over a closed cell foil! 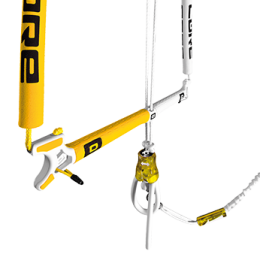 Yet with the new design generated this has a higher standard of stability, making it perfect to increase the personal level of riding for any rider without having to worry about the kite too much. The Matrixx II combines characteristics of different disciplines without their difficulty in handling, so no more tip tucking, big turning radius or complicated launching. It is simply a more enjoyable way of kitesurfing; you just unpack the kite and enjoy every second of your ride. Every size is perfectly adjusted for its wind range. If you are looking to boost high jumps, go upwind without thinking about it and experience high end performance, the Matrixx II is the kite for you.